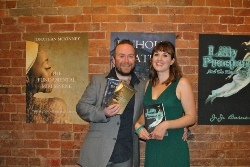 To see the latest media appearances of the Siren Stores team check here! On March 30th the Mayor of Stafford hosted authors J.J. Barnes and Jonathan Mckinney, and illustrator Sarah Lewis, for a tea party in the Mayors Parlours. The Siren Stories team were given a talk on the history of Stafford and the role of the Mayor, and discussed their writing and work with the Mayor and Mayoress, and the former Mayor and Mayoress, as well as enjoying a tea party and posing for photographs for local press. To see photos from this event please check here! On February 28th we hosted the Sirens Launch Book Release Party for Lilly Prospero And The Magic Rabbit by J.J. Barnes, and Emily The Master Enchantress by Jonathan McKinney. 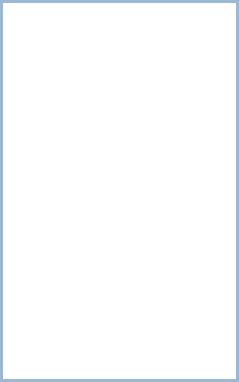 In February we released Emerald Wren And The Coven Of Seven by JJ Barnes, and Not Even Stars by Jonathan McKinney. On November 17th we hosted the Sirens Launch Book Release Party for Lilly Prospero And The Mermaid’s Curse by J.J. Barnes, and The Fundamental Miri Mnene, and Unholy Water, by Jonathan McKinney. 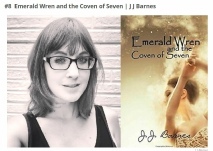 On February 28h we hosted the Sirens Launch Book Release Party for Emerald Wren And The Coven Of Seven by J.J. Barnes, and Not Even Stars by Jonathan McKinney. 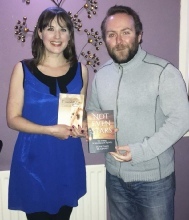 On 08 March 2018, International Women’s Day, author JJ Barnes was featured in an article about inspiring female authors for I Am Birmingham. 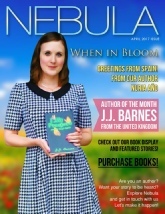 On April 25th, the latest issue of Nebula Magazine was released featuring Siren Stories author J.J. Barnes on the cover. You can read the full magazine here, including the Author Of The Month feature on J.J. Barnes where she discusses her work writing The Lilly Prospero Series and for The Huffington Post, as well as her family life.